Sync your address book, calendars, tasks, and bookmarks between Macs. Is there a better alternative to fruux? Is fruux really the best app in Personal Info Managers category? Will fruux work good on macOS 10.13.4? 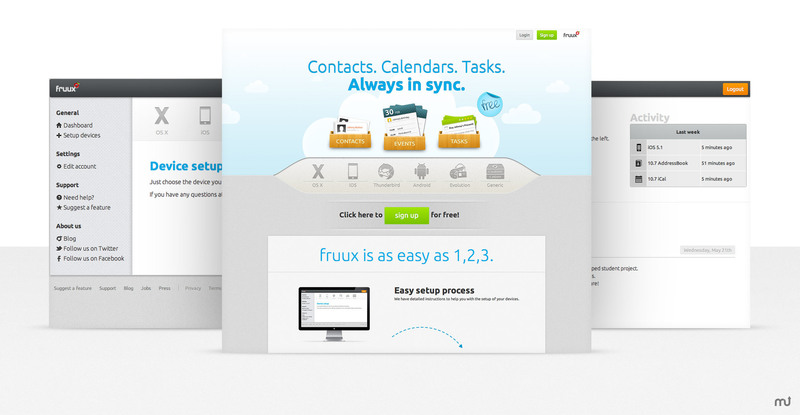 fruux is a free service that takes care of your contacts, calendars and tasks so you don't have to. Never manually copy contacts and calenders between your devices again! Contact, Calendar and Task synchronization. Shared Address books (read-only and read-write). Shared Calendars and Todo-Lists (read-only and read-write). Public calendars (shareable via iCalendar feed). Team address books/calendars/todo-lists; delegation support; scheduling (free-busy); user management and more. Note: The new fruux is no longer available as a native application, but now exists only as a Web application. It is natively supported on both OS X and iOS via CardDAV and CalDAV. Updates are deployed automatically. If you are a current user, you don't have to do anything.